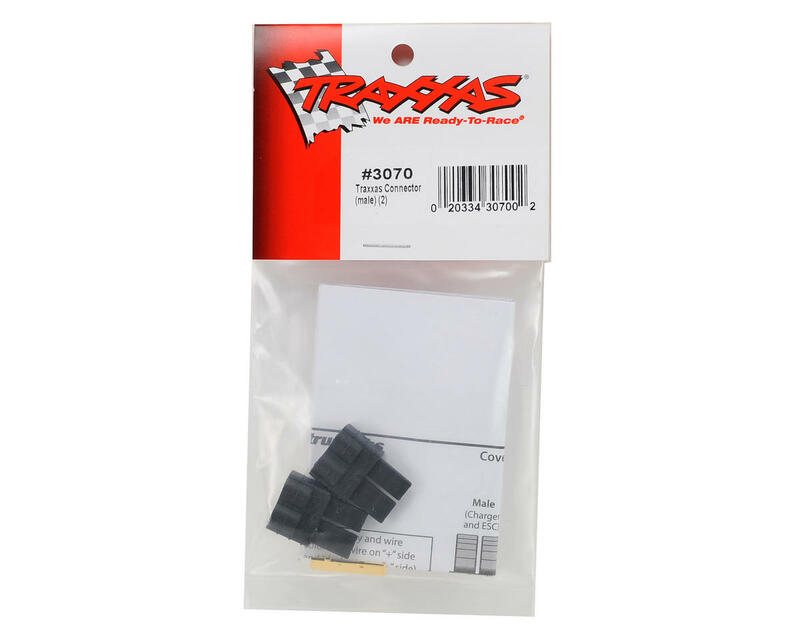 This is a Traxxas Male High Current Connector Set. 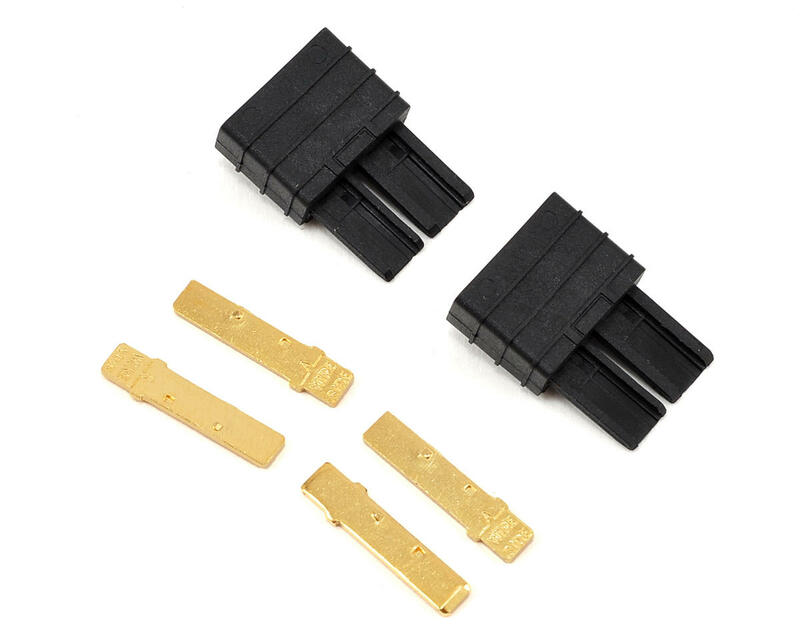 Package includes the parts needed to assemble two male connectors. These connectors got a lot going for them. I have them on all my vehicles. They won't rust or corrode, and if soldered correctly they have absolutely zero resistance. Only reason they're not 5/5 stars is because they can get really hard to connect and disconnect after a while, making for sore fingers. I got one thing to say, there awesome! They did great holding up to the snow and water.